This bird is found only in Mindanao. It is much larger than the other scops owls. 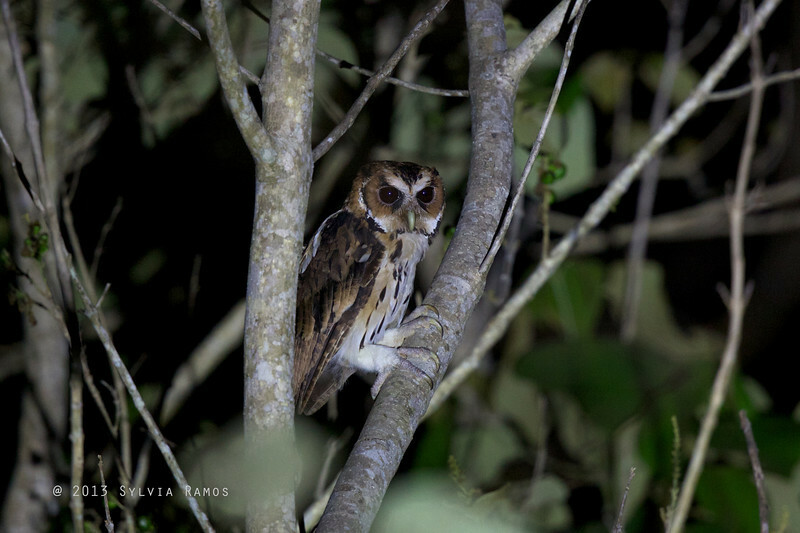 Like the other scops owls, it has a distinctive V on its forehead. Tonji was the only one who saw the bird in October 2010 during our trip to Mt. Kitanglad, Bukidnon with Nicky Icarangal. The first photos we got were from October 2012 in Cagayan de Oro, also with Nicky. Our last set of photos are from our April 2013 trip with Nicky once again.